While the horsemen’s contract with Colonial Downs expired on Wednesday night (January 29), both VHBPA Executive Director Frank Petramalo and Virginia Racing Commission Executive Secretary Bernie Hettel remain confident that a deal will be reached that will permit racing at Colonial Downs in 2014. The Jockey Club Experimental Free Handicap, published annually since 1935, is a weight-based assessment of the previous year’s leading 2-year-olds, with the weights compiled for a hypothetical race at 1 1/16 miles on dirt. Congratulations to everyone who received Breeder and Stallion Awards in 2013! Please ensure that you have a W9 on file with the VTA, as we will not be able to send your check without one. The VTA and the Fund would like to congratulate the winners of the $5,000 Virginia Breeders Fund Yearling Futurity Bonus for 2013. Veteran steeplechase and flat trainer, Thomas H. Voss, died at his home in Monkton, Md. Tuesday, Jan. 21. He was 63. Voss won five National Steeplechase championships as leading trainer, and campaigned steeplechase champion Slip Away, as well as Grade I Sword Dancer-winner John’s Call (who tied John Henry as the oldest Grade I winner at the age of 9). The VTA offers its sincerest condolences to Mr. Voss’ family and friends. The deadline for nominations to the Fasig-Tipton summer select sales – the July Sale and the Saratoga Sale – are due January 27. 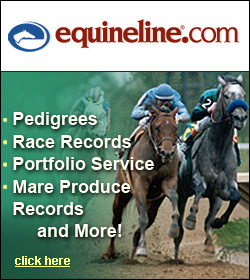 Nominations are free, and will allow Fasig to schedule yearling inspections, which usually occur in Virginia in March. Due to weather concerns, today’s Virginia Racing Commission Commission was postponed after the first appeal hearing. The agenda included discussion of the 2014 race dates at Colonial Downs. The contract between the Virginia Horsemen’s Benevolent and Protective Association (VHBPA) and Colonial Downs has been extended through Tuesday, January 21, 2014, at the request of incoming Virginia Racing Commission (VRC) chairman, J. Sargeant Reynolds, Jr.
One open bidding day ONLY! 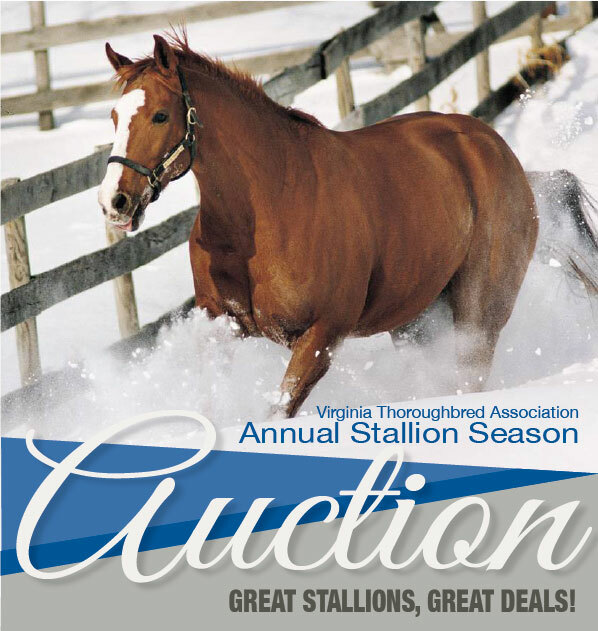 Closing bidding will take place on Thursday, February 13.
bidding on that specific stallion on Thursday, February 13th.